Product prices and availability are accurate as of 2019-04-18 20:21:35 EDT and are subject to change. Any price and availability information displayed on http://www.amazon.com/ at the time of purchase will apply to the purchase of this product. 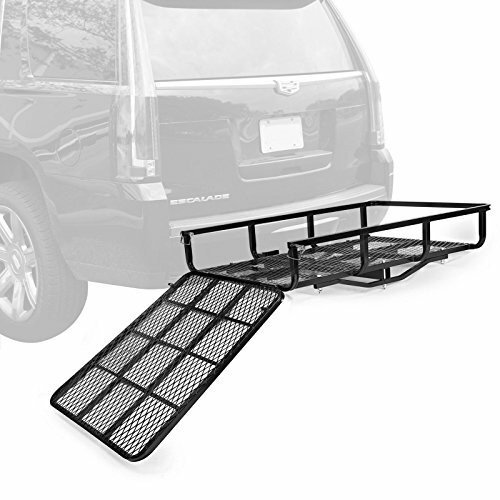 Premium wheelchair carrier from Direct Aftermarket provides a convenient way to transport your mobility items. This carrier has an extra long ramp (42 inches) which makes loading and unloading and much easier because the angle is not very steep. 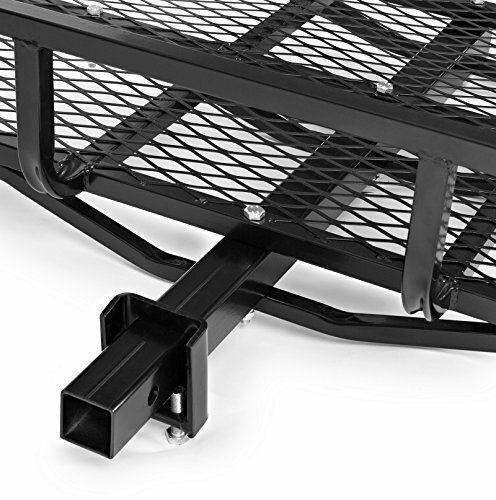 Carrier is hitch mounted to a Class III or IV trailer hitch and requires a 2" square hole (NOTE: hitch pin not included). 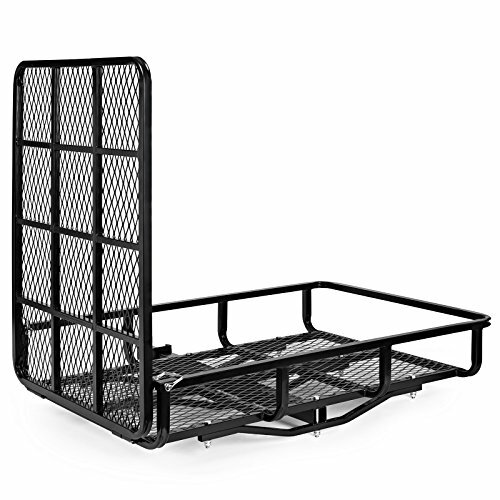 Constructed of weather resistant epoxy powder coated tubular steel, this heavy duty hauler can hold up to 500 pounds and features a metal grate as a base to support your cargo. 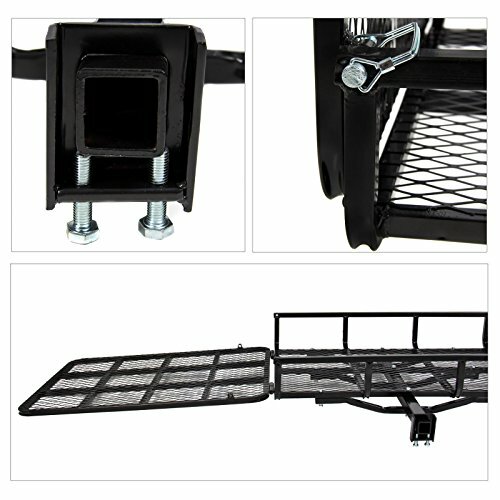 The carriage is built with a railing that is 7 inches high to provide additional protection and ample tie down spots. Cargo basket is easy to assemble and is ideal for mobility scooter transportation or any other cargo like a lawnmower, snow blower, or other cargo. 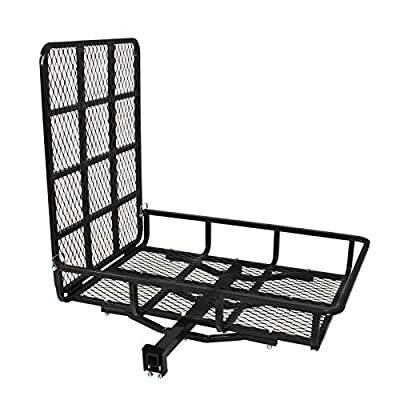 Includes: cargo basket with ramp, assembly hardware, and instructions.